This is the fifth (and most likely last) post in my ongoing series of posts on a new, lengthy paper I am writing on the duty to extend the human biological warranty period (see post 1, post 2, post 3 and post 4). One issue I gave much thought to as I was developing the paper was how much time and effort to devote to the case in favour of extending the human biological warranty period (by retarding aging) and how much to devote to objections against longevity science. In the end I spent the bulk of time on the former because, once one has a better understanding of the benefits of age retardation (and the enormous health and economic costs of the "aging status quo"), the number of objections likely to be raised quickly diminishs. So being clear about the benefits of age retardation (e.g. prevention of disease, suffering and disability) goes a long way in terms of undermining many of the objections typically raised against extending lifespan by critics who mistakenly assume extending lifespan involves extending the period of frailty and disease near the end of life (when that is in fact the opposite of what would be invovled). For over the past decade now I have taught undergraduate and graduate students on ethical issues pertaining to life extension and aging and I am always struck by how easily and quickly intelligent people can convince themselves that it is better to accept the rate of aging selected for by the blind process of evolution through natural selection than by a rate humans consciously influence to expand the opportunities for health by reducing and delaying many of the afflictions of senescence. The objections I have heard over the years range from a concern that reducing mortality could reduce our appreciation of life, to concerns that it would be boring to be married to the same person for longer and a concern that promoting the health of the elderly would make things worse for the employment of younger generations (a sentiment I find is more common among my undergraduate students who have anxieties about finding employment and paying off their student debts). Most of these objections can be dispensed with when one makes the benefits of age retardation more concrete. Adding 2 or 3 decades to the human lifespan, for example by a pill that mimics the effects of caloric restriction, would mean a delay of cancer, heart disease, stroke, AD, etc. When framed in that light the concerns typically raised against life extension begin to sound less compelling, even ridiculous. Would living with a lower risk of death from cancer, stroke or heart disease decrease our appreciation of living? If so, then is that a reason to promote smoking, obesity and an inactive lifestyle? Is it desirable that we increase the job prospects of today's younger adults by ensuring their parents' generation are afflicted with stroke or heart disease a decade or two earlier? Is increasing the risk of morbidity and mortality a fair and reasonable strategy for tackling societal problems like unemployment? No, of course not. But much work must be done to persuade people to think rationally about such issues rather than be governed by their knee jerk reactions to such cases. Worries about overpopulation constitute another line of objection often raised against extending lifespan. Let us refer to this as the Too Many People in the World is Bad Objection . Singer, for example, objects to an aging intervention because of concerns about population (See here). How should one respond to this line of objection? Firstly, I think it is important to bear in mind the distinction (made here) between a concern about an enhancement and an objection to the enhancement. The former is merely a “con”, a reason against it. But an objection to an enhancement is a much stronger claim. An objection is an “all-things-considered” judgement that an enhancement is undesirable because the cons outweigh any pros. As Buchanan notes, “all objections are concerns, but not all concerns are objections” (71). While I do not dispute the point that age retardation would raise concerns pertaining to population growth, I do not think these are likely to provide a decisive objection to the case in favour of preventing chronic disease. I am sceptical that such concerns would support the conclusion that the health and economic benefits of age retardation should, all-things-considered, be forfeited for the benefit of population reduction. 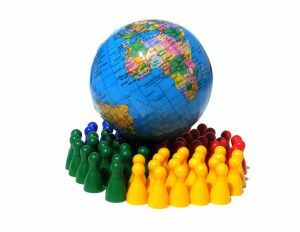 With respect to global population, perhaps the natural question to ask is how many people are too many for this planet? But this general question might not be most useful one to ask. The world is a diverse place. The size of the population living in different countries varies, as does fertility rates, and the amount of land and resources available to the people living in different geographical territories. The situation of Canada, for example, a country with a relatively small population considering its size and low fertility rate, is very different from a country that is more densely populated and has a higher fertility rate, like Bangladesh. The population of many developed countries will actually decline over this century, and these countries see increasing the number of healthy, productive workers contributing to their economies as a vital necessity. That is why most countries pursue immigration. Keeping people healthy and productive would confer significant individual and societal benefits, and these benefits must be considered when weighing up the pros and cons of age retardation. The life prospects of people living in disparate parts of the world are interconnected in different and complex ways. No continent or country is an island. Population growth in one region of the world can strain resources elsewhere, and increase problems like pollution and climate change. And yet it seems odd, if not perverse, to suggest that these problems be addressed by forfeiting health innovations that could reduce the prevalence of chronic diseases like cancer, heart disease, and stroke. Why does the critic of biogerontology select just this one potential health intervention as the one to forfeit? Why not propose forfeiting the benefits of exercise, smoking cessation, sanitation or antibiotics? Or, taking their logic even further, why not propose increasing the mortality rates from accidents, war or infectious disease? Such measures could be very effective in constraining global population growth. And they could be more humane and cheaper than the slow, expensive and painful death by chronic disease. Proposing to decrease global population by increasing the mortality of war, accidents, or lung cancer no doubt strikes us as grossly unjust and, well, just plain silly. Why? Because the duty to aid entails we prevent wars, accidents and lung cancer unless the sacrifice involves something of comparable moral importance. Are the overall harmful effects of population growth so severe and large that we should forfeit the health and economic benefits of any health innovation (including an anti-aging intervention)? If they are, then we would need to re-think our attitude on all public health measures and not just an applied gerontological intervention. To object only to modes of manufacturing survival time that extend lifespan is ageist because it assumes the interest people have in remaining healthy during the post-reproductive period of life is not worthy of the same respect and value that we place on those interests in the reproductive and pre-reproductive stages of life. The burden of proof is thus on the critic of age retardation to demonstrate that a more pressing moral demand (one more specific than a vague reference to “overpopulation”) of the duty to aid trumps the duty to promote the health of the 2 billion people who will be over age 60 by the middle of this century. This means something of comparable moral importance to reducing chronic disease for billions of people must be at risk, and this risk must be as certain as the harms of senescence. The rational response to the problems of population growth is to support the fair and empirically demonstrated measures which have been successful in curtailing population growth. The tried and tested solutions include education (especially of women), access to birth control, alterations in social attitudes towards the family and gender, etc. My response to the Too Many People in the World is Bad Objection against retarding aging is the same response I would invoke to defend any other measure which manufactures survival time—curbing fertility, rather than forfeiting health innovations, is likely to be the more fair and viable solution to these problems.